Seems like everyone is reformulating everything this time of year! 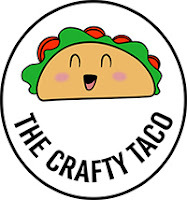 I know there has been a pretty serious dust-up in late Spring/early Summer when it came to sourcing the raw ingredients, so it is no surprise that a lot of new versions of beloved colors are popping up. Somehow...then new ones have all been better. If I didn't think so before, I definitely think Emily over at Carpe Noctem Cosmetics is a witch. Let us start by looking at the shiny new version of Ms Deep. 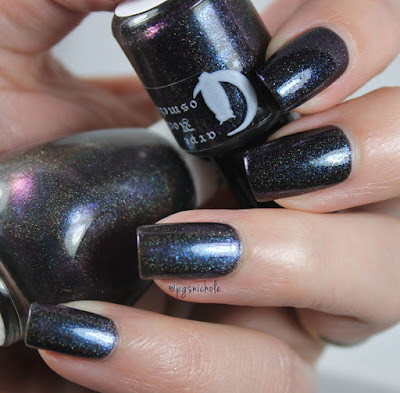 (Check out my original review here if you need a refresher) This new version is inky and dark...and frankly I think its a more unusual-but-wearable polish. I was in love with the original, but this is the one that I would beg, borrow, and steal to have. It was opaque for me in three thin coats, which is actually fine. The base is very dark, but with flashes here and there of a deep violet. In the new version, all the brilliant flash and purple comes from a little bit of (I'm guessing) spectraflair and a dazzling amount of multichrome flakes. 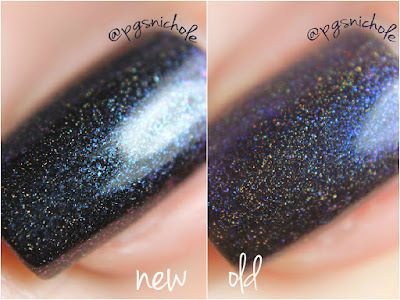 If I'm honest, I think this is a more unique shade now...though I am biased because I love blackened shades dearly. Now let's check out the macros! In the sun, the tastefully used spectraflair comes alive and takes center-stage. 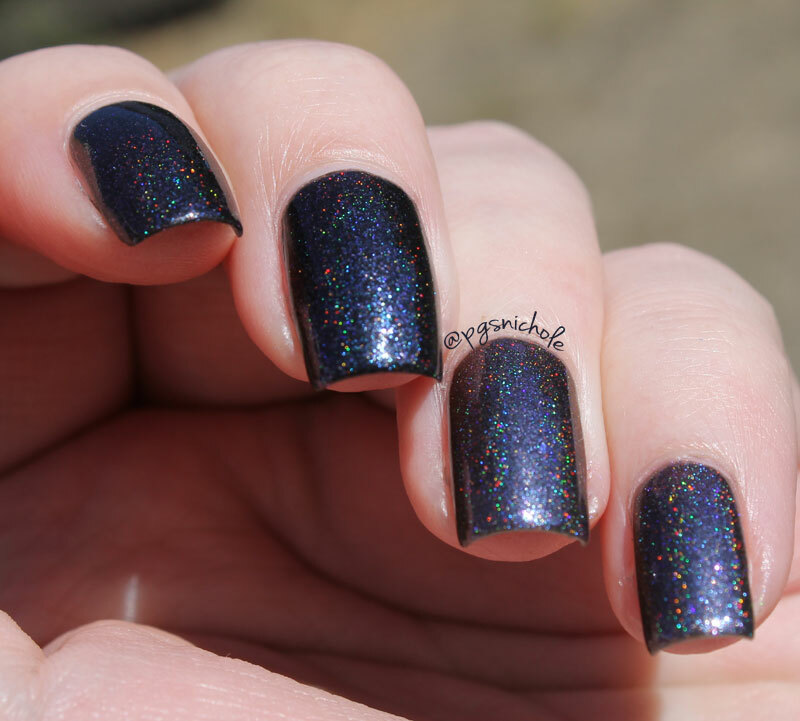 This isn't going to be a true-black holo replacement, but it is so dark that even the "all black all the time" polish lovers will be happy with this one. It is just magic. So lets compare now. On my index and middle fingers, I have the New & Improved Ms Deep. On my ring and pinky, the original. Both have three coats and a layer of Seche Vite on top. The differences are immediately obvious. 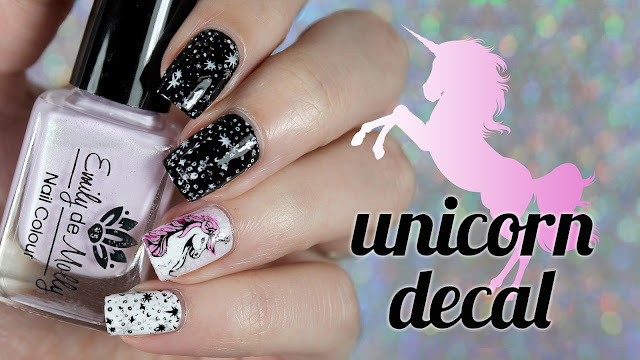 I am not going to re-review the original, but it is a perfect polish on its own. The new one is slightly more...Ms Deep-ish. 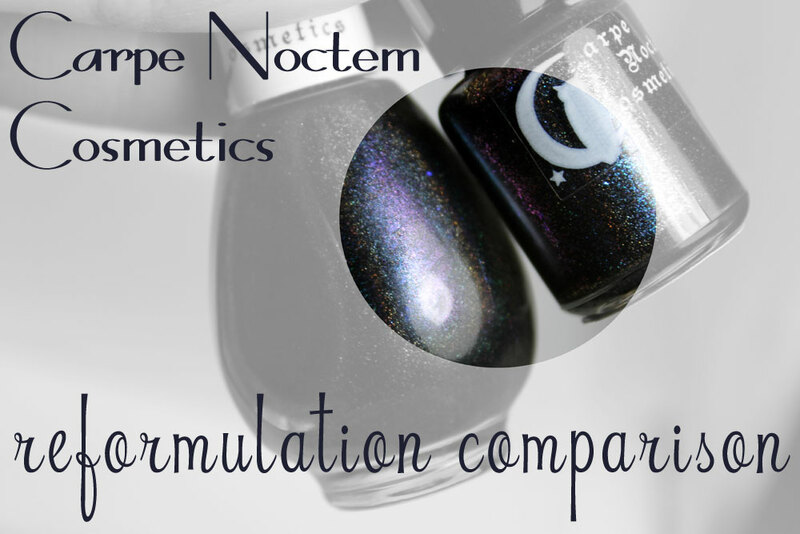 I could wax poetic about both versions...but I will let the polishes speak for themselves. What other polishes have changed over the Spring and Summer? Have you been gladdened or saddened by the changes? Oh my. This color is phenomenal. I like the new version better, too. 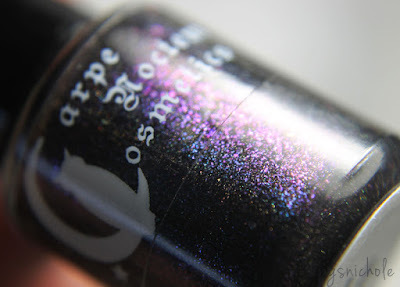 This shade looks so freaking out of this world, especially the new one. It really is. Emily has this magic touch for making the squishiest, most luminous holos. Yeah. That new one is stunning. Stunning. have you tried any CNC polish? I highly recommend keeping an eye on whats coming. There are AMAZING things on the horizon. Wow! Such a gorgeous color!